In an exclusive chat with People Matters, the social media and public relations strategist Andrew Chow shares interesting insights on social media recruiting, data privacy rights, and how to improve employer-employee experience. 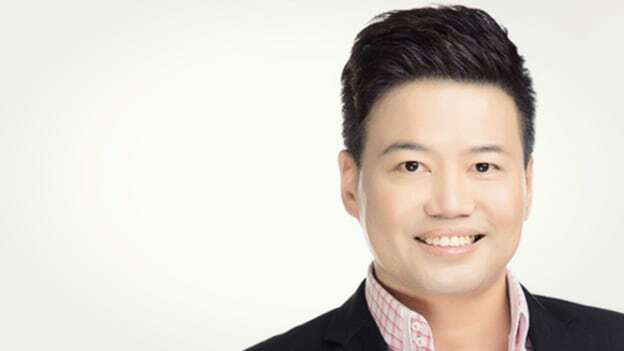 Andrew Chow is a successful social media and public relations strategist, entrepreneur and speaker based in Singapore, he is also the best-selling author of a highly popular series of books: Social Media 247, Public Relations 247 and Personal Branding 247. Andrew has spoken in over 15 countries and addressed issues on digital marketing, personal branding, enneagram, public relations, and branding. In an exclusive chat with People Matters, Chow shares interesting insights on social media recruiting, data privacy rights, and how to improve employer-employee experience. With over 30+ years of professional experience, how would you define your Journey so far? Evolvement and Disruption. Evolvement because I went from civil service to retail to MICE to Dating Industry to Training and Development. When you progress in life, you embrace the spirit of entrepreneurship of life before work. Disruption because every new domain requires a change of mindset while the value is created from previous work experience in other industries. Being a leader and strategist in Social Media & Digital Marketing, what trends do you forecast when we talk about People Management at the workplace? Social Media has evolved drastically and organizations are shifting their recruiting methods to tech-based. What are your thoughts on Social Media Recruiting and How has it helped the organization? (Any example from Singapore which you would want to share? Social Media is an excellent platform for talent acquisition. The personal branding of the candidates will enable them to be more visible to the recruiters. The past achievement of any candidates can be seen through their social portfolio in terms of slides, video, tweets, images, podcast, etc. Companies are able to enjoy more effective and authentic reference checks through mutual connections. What new policies have been introduced in South East Asia in the context of Social Media? The only common policy on social media in South East Asia is really just the usage policy and the code of conduct. Many of these are already embedded in the employee handbook. Moving forward, there is a need for policies regarding fake news and marketing ethics guidelines. These will enable brands to be more trustworthy online and within the community. Recently, a lot has been spoken about Data Privacy Rights. Any tools that you would want to share with us in helping Organizations to protect data? Any industry specific example you want to share? What are your future plans for enhancing the Employer-Employee experience? There are many tools in the market now to enhance communication like Yammer. However, improving communication may not necessarily lead to a great Employee Experience. Companies must adopt Employee first Customer second approach to embrace human capital into their overall brand strategy. Besides survey done on almost every aspect of their working life, there should be townhall sessions where the staff can be given a “open mic” time to share anything in their hearts about their working environment and challenges. These talks will provide qualitative data analytics to the staff sentiment index which otherwise cannot be captured by survey alone.